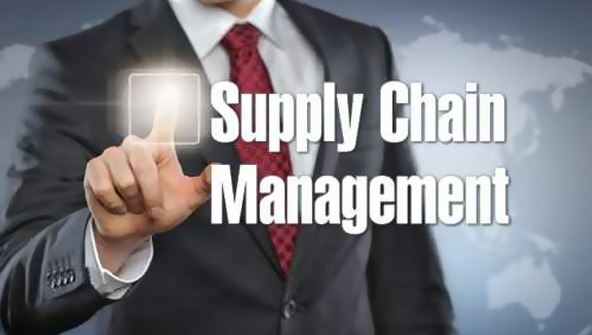 In this lesson, we'll discuss professional certification and get acquainted with APICS, the professional society for supply change management (SCM) practitioners. You'll find out about the concept of an operating system and the use of a supply chain. You'll also learn about Material Resources Planning (MRPII) and the role that it plays in an organization. MRPII creates a logical structure for information, activities, and material to flow. While beneficial, MRPII represents only half of what an organization needs to succeed. Today, you'll see the other half of the picture—Sales and Operations Planning (S&OP). It's a dynamic process that can make your company a world-class organization. You'll learn how to successfully use S&OP, identify key focus areas, and appreciate the benefits of following the S&OP cycle. In this lesson, we'll examine forecasting—defined as a prediction based on scientific observation. We'll explore the history and nature of forecasting, and discuss customer demand. You'll learn how to set forecasting objectives and create a process to develop and update weekly or monthly forecasts. Today, we'll examine the components of demand: averages, linear trend, seasonality, and cyclical, irregular, and random factors. We'll cover many qualitative forecasting techniques, including the Delphi method, panel consensus, and historical analogy. You'll learn about quantitative forecasting by working on problems involving time series (simple and weighted moving average and exponential smoothing) and associative methods (linear regression and multiple regression analysis). You'll start to get a sense of which forecasting methods to use for which situations. In this lesson, we'll conclude our discussion of forecasting. You'll find out about macroforecasting and two forecasting techniques that really fit in the quantitative or qualitative categories: focus forecasting and pyramid forecasting. You'll discover how to develop forecasts for new products, and learn how to use techniques to effectively control your forecasts before they get too far off track. All manufacturing operations have strategies, which are represented by a business plan and a production plan. A sound business plan identifies processing methods (technology and equipment), manufacturing facilities, human resource needs, material requirements, distribution methods, and warehouse locations. A production plan defines how products will be made available so that marketing can satisfy customer demands and the company can make a profit. Today, you'll learn all about manufacturing strategy. We'll look at the elements of the production plan as essential requirements to support the other elements in an MRPII system. The topic of today's lesson is the master production schedule (MPS). An MPS breaks down the production plan in greater detail. To manage your MPS effectively, you'll need a master scheduler. We're going to look out how the master scheduler converts the production schedule to an MPS, applies a final assembly schedule, and uses available-to-promise (ATP) to satisfy customer orders. You'll learn how critical it is to measure and control your MPS and methods to keep it moving in the right direction. The process called material requirements planning (MRP) is one of the great inventions of the 20th century. Today, you'll discover how MRP can help your company. You'll learn about the basics—dependent demand, bills of materials, and inventory records—and study the various reports and schedules. You'll also find out how to lot-size MRP orders and what it takes to implement MRP. To succeed with capacity planning, you must manage the present and the future. You need to balance flexibility (being able to meet new and diverse needs in different ways) with capability (doing what you must do now). In this lesson, you'll learn about the goals and requirements to effectively manage capacity. You'll also discover how to use strategic capacity management, rough-cut capacity planning (RCCP), and capacity requirements planning (CRP) to define, plan, measure, and control output. Starting today, (and continuing for the remaining three lessons), we'll be discussing production activity control (PAC). PAC is vital because it activates all of your plans, including the MPS, MRP, and your capacity plan. We're going to look at the PAC cycle and its requirements and benefits. You'll learn how to apply backward and forward scheduling, manage bottlenecks, and optimize set up management. Then we'll cover linear programming as a way to schedule products when you face supply and demand constraints. Today, we'll examine another method with an acronym: production scheduling and control (PSC). PSC is the part of PAC that carries out all of your planning, going all the way back to the business plan. By the time you finish this lesson, you'll know how to develop and use a Gantt chart, understand basic scheduling principles, and know how to overcome production schedule challenges. You'll also learn how to use priority rules to sequence work orders, use shop loading, and manage work orders. In this final lesson, you'll learn all about lead-time. We'll identify its components and discuss how you can successfully control it. Then we'll conclude the course by studying operation overlapping as a way to improve production and keep materials flowing smoothly.